M. Night Shyamalan’s upcoming and slightly racist-looking, The Last Airbender, has two new character banners with one featuring the hero, Aang (Noah Ringer) and the other with the (apparent) villain Zuko (Dev Patel). As you’ll see Aang is white as the driven snow and Zuko, not so much. 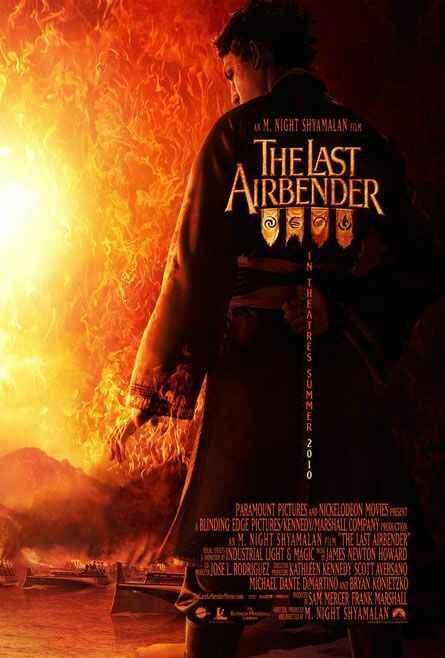 And if you’re wondering if all of my Last Airbender stories will harp on the racial aspect, the answer is, “Yeah, probably.” Shyamalan has taken an acclaimed animated show featuring characters of various East Asian descent and made all the heroes white while the villain gets to be played by a (great) Indian actor. This is particularly bizarre since Shyamalan is, you know, Indian. So unless he’s planning a twist where it turns out all the good guys were villains and all the villains are good guys, he’s making a movie that may not be as dumb as The Happening (that’s a really tough bar to clear), but could be a much bigger middle finger to fans of the show, fans who are mostly kids. Maybe those kids won’t care about the whitewashing, and hey, is it really so important that kids who aren’t white have heroes they can identify with? Who doesn’t like white people? Hit the jump to check out both character banners along with the official synopsis. Presumably, we’ll eventually be getting two more featuring the other major characters, Katara (Nicola Peltz) and Sokka (Jackson Rathbone). The Last Airbender hits theaters on July 2nd. I hope it’s not as racist as it looks. Posters come courtesy of Yahoo! Movies. Air, Water, Earth, Fire. Four nations tied by destiny when the Fire Nation launches a brutal war against the others. A century has passed with no hope in sight to change the path of this destruction. Caught between combat and courage, Aang (Noah Ringer) discovers he is the lone Avatar with the power to manipulate all four elements. Aang teams with Katara (Nicola Peltz), a Waterbender, and her brother, Sokka (Jackson Rathbone), to restore balance to their war-torn world. 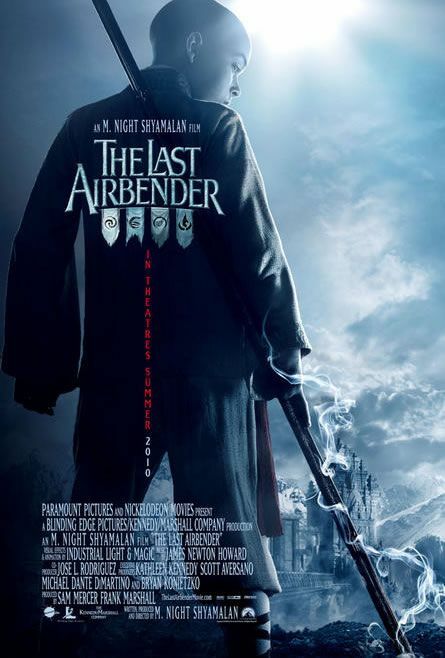 Based on the hugely successful Nickelodeon animated TV series, the live-action feature film “The Last Airbender” is the opening chapter in Aang’s struggle to survive.